Popular singer #NeetiMohan is a multifaceted personality in Bollywood, takes Kathak classes for her upcoming single Kanha Re. After crooning several Bollywood melodies such as 'Bawara mann' (Jolly LLB 2; 2017), 'Piya more' (Baadshaho; 2017) and 'Nachle na' (Dil Juunglee), among others, Neeti is now all set to release her single 'Kanha re'. 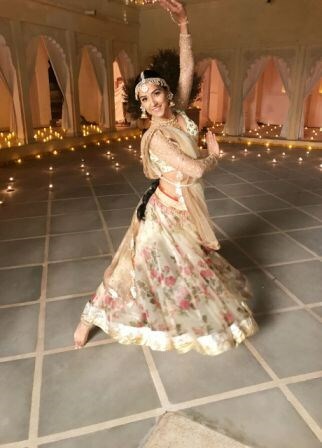 Singer Neeti Mohan who can show amazing levels of dedication, passion & work ethic in learning Kathak dance for her upcoming music video kanha re as she does for her singing. Talking about her newfound talent, Neeti Said, “I have taken Kathak classes and have learned a lot through workshops just to do my best in Kanha Re”. Along with her melodious voice, Neeti will be featured in the music video as Gopi in Grand Indian outfit.